"Without doubt this is the most important book on Delius since Christopher Palmer, arguably since Arthur Hutchings, and one which no writer on the composer's music will be able to ignore," - Christopher Redwood, The Delius Society Journal. "I think it's very intriguing music, rooted in folk songs but fresh in concept with melodic, rhythmic and timbral richness." - Jeffrey Reynolds, Band Conductor, University of Toronto. "Interesting and effective choral writing characterize this lovely adaption of a fifteenth-century text depicting the appearance of the Angel Gabriel to the Virgin Mary." - James and Emily John, Choral Journal - 'A Maiden Mild'. Derek Healey was born in Wargrave, in the South of England; studied with Herbert Howells at the Royal College of Music, London and with Boris Porena and Gofredo Petrassi in Italy. He has won prizes in the UK, Italy and the USA and has taught Theory, Composition and Ethnic Music at the Universities of Victoria, Toronto, Guelph and Oregon, finally becoming Academic Professor of Music at the RAF School of Music in Uxbridge, England. 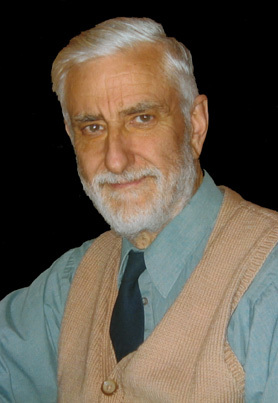 He has written works in most genres, having had some fifty works published in the UK, Canada and the USA. His earlier neo-classic style gave way to atonal and aleatoric influences in the 1960's, and from Healey's arrival in North America in 1969, ethnic music became increasingly important. Works for large ensembles have been played by many orchestras and wind ensembles, and the opera Seabird Island was the first contemporary opera to be taken on a cross-Canada tour. The works most often performed include the suite for orchestra: Arctic Images, and In Flanders' Fields and two sets of Canadian folk songs for choir. Healey's most recent extended work, 'A Mass for San Corrado', recently received its first performance in Noto Cathedral, Italy. Healey is now retired from teaching and spends his time with composition and research, living in the Cobble Hill district of Brooklyn, New York.